Sequential Networks are an experienced VPS Hosting, Private Cloud Server, Pubic Cloud Server and Hybrid Cloud, UK, providers. Our own data centres are based in London and Manchester, and utilise only the best hardware and software to accelerate your business and store your data. A hybrid cloud solution combines features of public, and private cloud servers, to give the price effectiveness, and flexibility of cloud servers, with the speed and reliability of private servers. Choose Sequential for you Hybrid Cloud UK provider. Our dedicated servers in our data centres store, and protect, your data, and allow us to provide the best hardware. Hybrid cloud solutions from Sequential Networks give you maximum performance and security, reduce your IT costs, improve your network efficiency, and give you multi-cloud scalability through our well-known hybrid cloud partners. For our hybrid cloud solutions, we partner with Amazon Web Services (AWS), and Microsoft Azure. 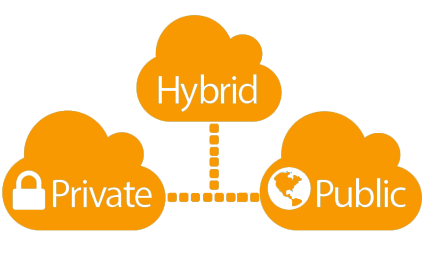 How can I use my Hybrid Cloud? As with a Public, Cloud, or VPS Server, you have the same rights as you would as an administrator of an in-house computer system. You can add software, delete it, control who has access, and even reboot, as and when you need to. If one server fails, another will pick up your service, reducing down-time. If you need a Hybrid Cloud UK provider, our Sequential Networks team will have you set up in no time. All our cloud services are maintained and monitored 24x7x365. FOR EXPERT ADVISE TO HELP DESIGN, BUILD AND MANAGED YOUR HYBRID ENVIRONMENT REQUIREMENT. Public Cloud's pay-as-you-go scalability is deal for heavy or unpredictable traffic reducing your IT costs. When you need enhanced security and ultimate control for business critical apps and data, incorporate a private cloud. Sequential ensures guaranteed resources, without over allocation. 100% of resources, 100% of the time.